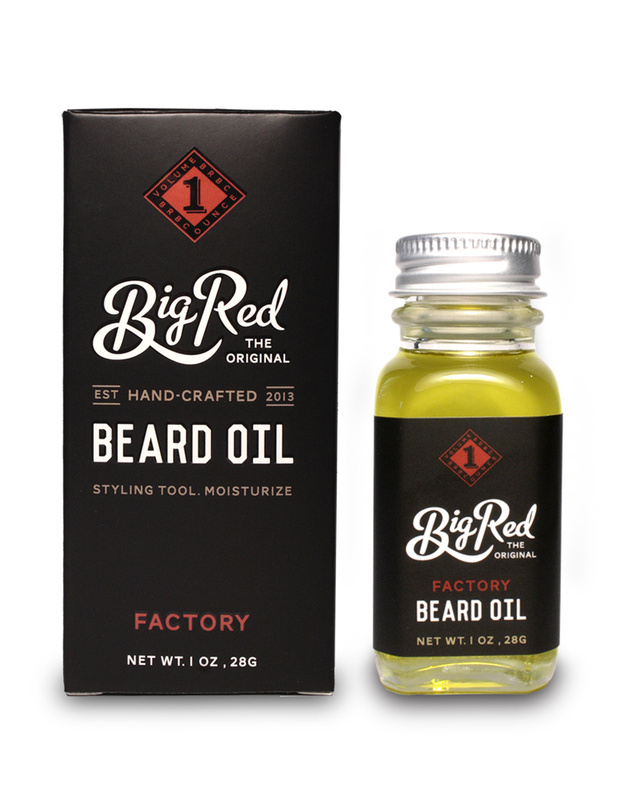 Big Red’s Factory Beard Oil is an ode to men being men. Chopping wood, greasy axels and working in the shop. Smell like you’ve just emerged from the forest after hunting for your own dinner. Factory is a blend of woodsy with subtle, spicy, citrus undertones. It is lightly scented so as not to offend the senses but to offer a pleasing, subtle scent throughout the beard. 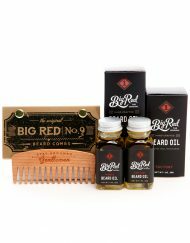 We apply the same craftsmanship to our oils as we do our combs, ensuring only the finest products come in contact with your beard. 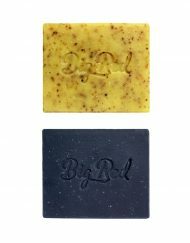 Only the highest quality natural ingredients have been used to provide nourishment your skin and beard, leaving you looking your best. Stay groomed gentlemen. Factory Beard Oil comes in a glass 1 oz square bottle fit within a kraft box that can be used to protect the oil from harmful UV light if placed in direct sunlight. now if your a outdoors man. where when your hunting your next meal , working on vehicles or chopping wood in the forest for fire to stay worm or building his log cabin in mother nature, and love the smell of wood and outdoors. this if the oil for you. you can go into any fine establishment , pub or meeting place and be the dominant male there. others will cower and greet you with respect ,from the Manley smell of fresh cut cedar and outdoors coming from your majestic mane. When you go talk to girls ,you will be confident cuz you know your beard and the sense its giving off , is putting them to easy. cuz they know they have a real man next to them. one that can protect, are goods with there hands , can fix any thing ,but also forage for food in the wood if they get lost. well my friends, if this applies to you. then wait no more. This oil has completely changed my beard game. 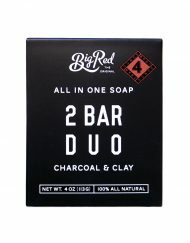 After showering with the big red charcoal soap I dry off a bit and thenot hit the beard with about 6 drops of the oil. I comb it in with a no. 9 comb. My beard is now softer and straighter than before. My wife loves it! The factory has a nice all around woodsy smell. Can’t wait to try the noble scent next. Working in a autobody shop the enviroment is not the cleanest and can really dry out your skin. 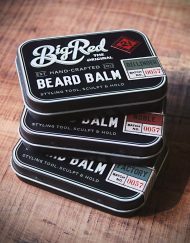 having a beard makes it much worse.big red beard oil is just what any man needs,exspecially if you have dry face skin. It really helps to keep things moisturized beneath all that manlyness. 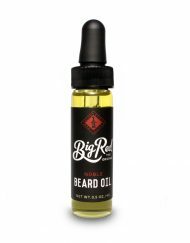 The second best beard oil ever!! Nobel being the best. Love it, it has a great smell feels clean and fresh! 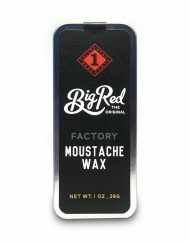 I’ve tried many things but always come back to Big Red’s Factory: smells like Jesus beard’s! 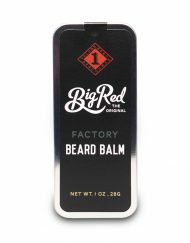 It’s the best smelling and feels awesome in my beard. 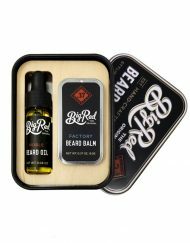 I’ve tried a lot of different beard oils and this one is my favourite by far. My barber commonly competes at competitions, mostly within the state of Colorado. There are a lot of beards in Colorado, so the competition can be tough. She often asks me to be her model (basically I get a free hair cut, shave, and beard trim). 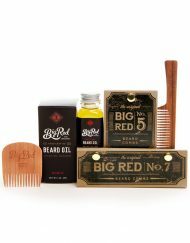 We have tried different beard products from a lot of different companies to use not only during competitions, but on a daily basis. 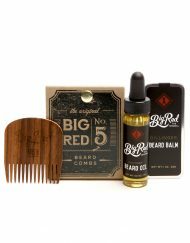 I can honestly say that I have not been able to find a higher quality beard product than Big Red Beard Combs. I stopped using them for a few months to continue testing out products on the market, and could not help but find my way back to BRBC. I saw a noticeable improvement in the health of my beard once I returned. 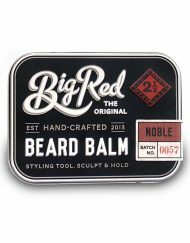 The products smell good, do not leave my beard feeling too oily, and leave my beard looking great. Awesome! I have been using the factory oil for a few years now and could not be happier with the product and the customer service. Excellent all around! Being a Vancouver island native it’s wicked to see such a great company in the community! I originally bought the small size for my boyfriend. He loved it until he dropped it and it broke. He immediately asked how to get more. 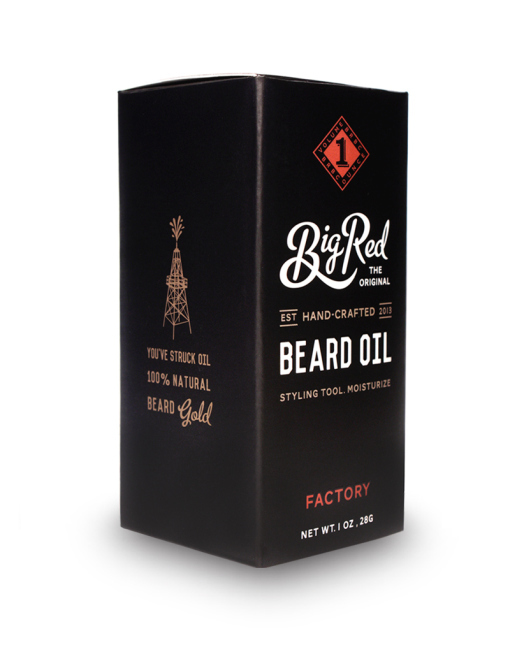 Went with the larger size this time and he is so happy with this beard oil. Better than the high priced oils he had used before. I bought this for my fiancé for Christmas one year and we can’t get enough of it! 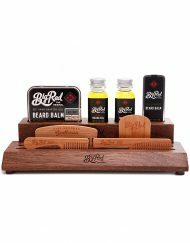 Love the smell and it makes his beard so soft!